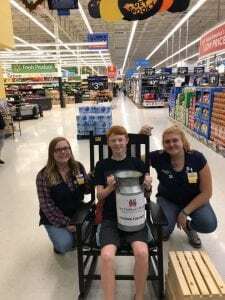 INDIANAPOLIS (August 27, 2018)—Now through September 30, Walmart and Sam’s Club are asking customers to support kids by making a donation of $1 or more at the retailers’ 130 locations to raise funds for Riley Hospital for Children at Indiana University Health, Indiana’s only Children’s Miracle Network (CMN) Hospitals partner. Their campaign hashtag is #helpkidslivebetter. 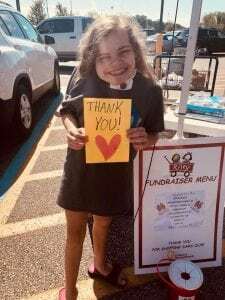 Customers and members can add a “Miracle Balloon” donation during checkout, with 100 percent of funds going directly to Riley Hospital, helping kids in their own communities. Funds collected—most $1 at a time—are necessary for hospitals to provide the best care for kids. Last year, Walmart and Sam’s Club raised a record-breaking $1,382,802 for Riley Hospital. “We are grateful for the continuous support and generosity of Walmart and Sam’s Club. 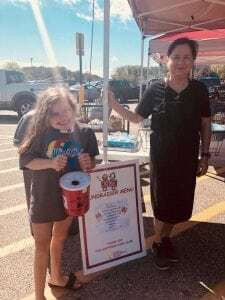 They are committed to supporting the vital role Riley Hospital for Children plays in providing hope for sick and injured children,” said Jim Austin, Chief Marketing and Corporation Partnerships Officer for Riley Children’s Foundation. Every donation stays local to help Riley kids like Owen Boatright and Marlee Davenport. Boatright, Plainfield, Ind., is currently serving as Riley Hospital’s 2018 CMN Champion for the state of Indiana. Owen was treated at Riley following a dangerous complication from an E. coli infection that resulted in renal failure. 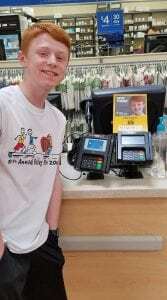 Today, Owen is doing well and enjoys playing the piano and acting in school and community theatre productions. Davenport, Bloomington, Ind., is currently serving as an inaugural 2018 CMN Hospitals National Champion. She has been a Riley patient since birth due to complex pulmonary, orthopedic and neurological issue that have required many surgeries. Care for kids like Owen and Marlee are made possible in part due to corporate partners like Walmart and Sam’s Club. Since 1987, Walmart and Sam’s Club fundraising across North America has provided more than $960 million for pediatric care. Riley Children’s Foundation is the fundraising arm of Riley Hospital for Children at Indiana University Health and the founding organization that opened Riley Hospital in 1924. Today Riley Hospital is recognized as one of the best children’s hospitals in the nation and is the only comprehensive children’s research hospital in the state of Indiana. Our mission is to raise funds statewide to support Riley Hospital funding priorities: pediatric research and patient care, maternity and newborn health and family support programs. Riley Children’s Foundation also funds Camp Riley and the James Whitcomb Riley Museum Home and Billie Lou Wood Visitor Center. For more information, visit RileyKids.org. Children’s Miracle Network Hospitals® raises funds and awareness for 170 member hospitals that provide 32 million treatments each year to kids across the U.S. and Canada. Donations stay local to fund critical treatments and healthcare services, pediatric medical equipment and charitable care. Since 1983, Children’s Miracle Network Hospitals® has raised more than $5 billion, most of it $1 at a time through the charity’s Miracle Balloon icon. Its various fundraising partners and programs support the nonprofit’s mission to save and improve the lives of as many children as possible. Find out why children’s hospitals need community support, identify your member hospital and learn how you can Put Your Money Where the Miracles Are, at: CMNHospitals.org and facebook.com/CMNHospitals. In Indiana we serve customers at 130 retail units and online through Walmart Grocery Pickup, Walmart.com and Jet.com. We are proud to employ 39,055 associates in Indiana. Walmart supports local businesses, spending $2 billion with Hoosier suppliers in FYE17, which supported 58,680 supplier jobs. Walmart and the Walmart Foundation are active in Indiana communities where we live and work and invest in communities through local grants, customer engagement and associate volunteer efforts. In FYE17, we contributed more than $32.3 million in cash and in-kind donations to local nonprofits in Indiana and our local associates volunteered more than 53,000 hours with local causes. Learn more at the Walmart Today blog, and our Facebook, Twitter, Pinterest, Instagram channels.